Optimized aerodynamics for 90 mph & under swing speed. 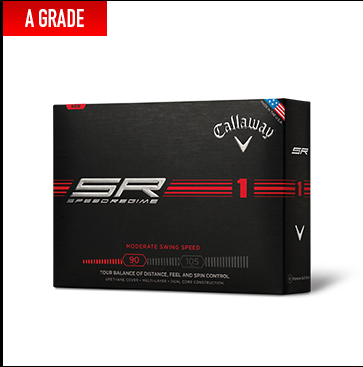 Here is an incredible, game changing fact: The SR 1 has been designed to have the best aerodynamic performance for moderate swing speeds of 90mph and below. So yes, if the first digit of your swing speed is 0 to 8, we’re talking directly to you. Our HEX pattern is specifically engineered to optimize low speed lift with long, stable, penetrating ball flights. And that means more distance.